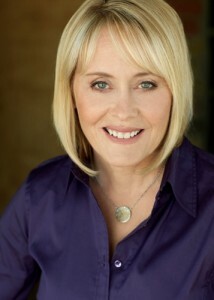 Dr. Deb has been practicing dermatology in San Diego for over 20 years. She loves helping her patients have the healthiest skin possible, and to look as good as possible for as long as possible. When Dr. Deb isn’t in the office, she stays busy with her family and their philanthropic endeavors. She helps her son Nick run his 501c3 children’s charity, Nick’s Picks. The charity is dedicated to providing fun-filled backpacks loaded with activities and comfort items to hospitalized / isolated children. On the weekends she can be found at the horse park watching her daughter ride, or cheering her on the soccer field. Dr. Deb lives in Del Mar with her husband, two kids and dog, Maverik. She loves spending time at the beach (with lots of sun protection of course) and indulging in her love of photography. She and her family love to travel and are always looking forward to their next trip. Favorite Treatment: Ultherapy- It’s great for preventative aging. I love treatments that help you look good today, and better tomorrow! Favorite Product: TNS Essential Serum- This product has been a complete game changer in the skin care arena. It is loaded with nothing but the best-of-the-best ingredients to keep your skin looking and feeling great. Skin Care Regimen: I never turn in for the night without my SkinMedica TNS Essential Serum, Retinol Complex and Dermal Repair. I also love the Topix Retinol Body Lotion, it hydrates and firms and really changes the way your body skin looks. I use it twice a day. Tips or Tricks: My tip is the Essential Defense tinted on the weekends when you want to go make-up free, but you want a little coverage. Also, Colorscience makes a great primer with SPF 45 that I love to wear with make-up. It gives great coverage and gives your skin a gorgeous glow. Receive Exclusive Offers And The Latest News By Text. CLICK HERE OR TEXT "SKIN" TO 474747 AND JOIN TODAY! Sign up to recieve exclusive offers and promotions!